So let me see if I’ve got this straight; it’s cold, grey and windy and you need a head torch on at midday. The birds are largely distant, buff, brown and grey and hunkered down, and scowling into the wind looking like hypothermia is just a wingbeat away. They do not appear happy. The roar of traffic from the coast road is constant. Winter Ribble birding is simply NOT the same as swanning around watching West African species so colourful you need shades on just to think about ’em. 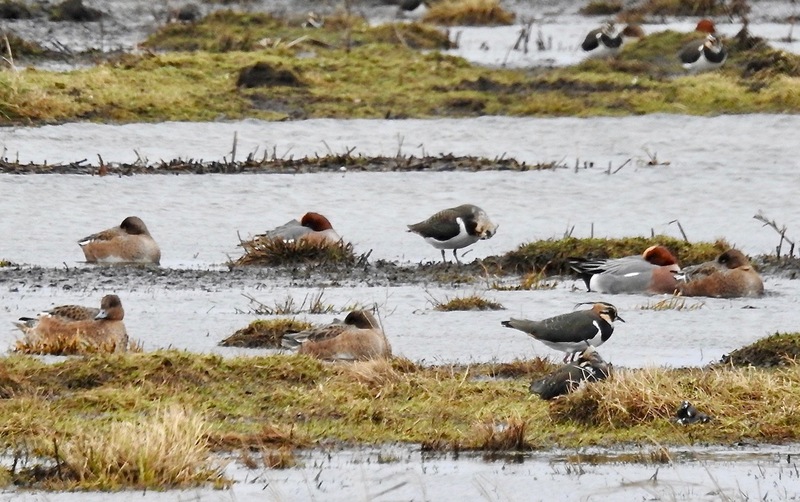 On the upside, Marshside Two was carpetted with Lapwings and Golden Plover, with Dunlin scurrying around them and glacial Little Egrets wading about this afternoon. 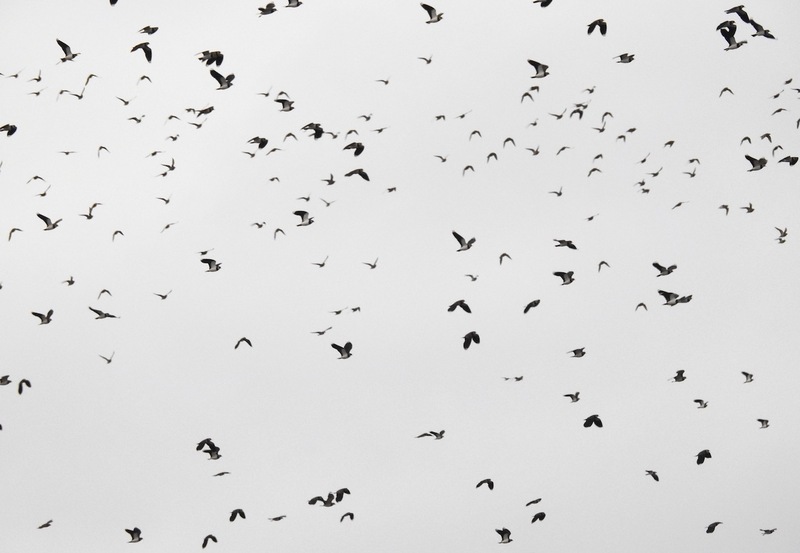 Pinkies commuted from the outer marsh, where Merlin and Common Buzzard were hunting, and occasionally the whole lot were spooked and rose into the air, the dread caused by a GBB, Merlin or just nerves in a cold climate. Four drake Pochard on Sands Lake at Ainsdale when I called in on the way home, but the light was fading fast by then. Soon this will become the norm again. 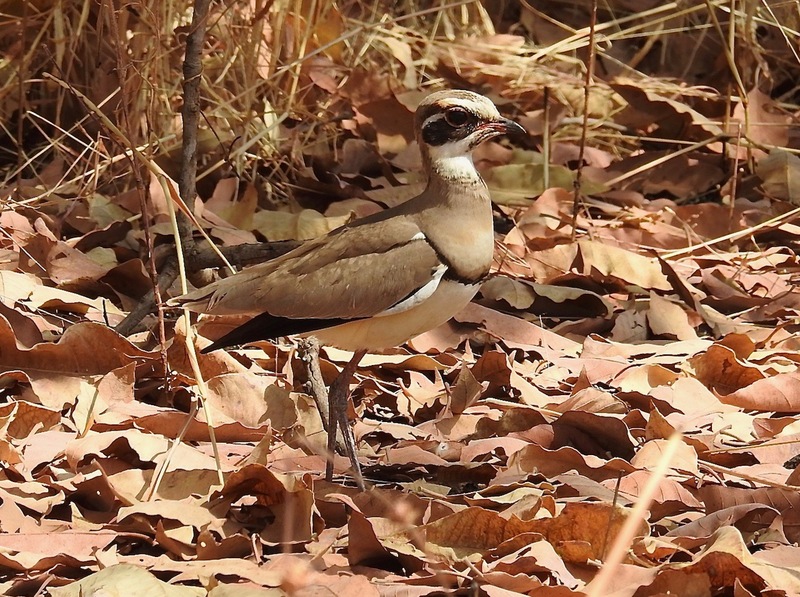 Just back from a superb trip to Gambia, organised by Neill Hunt, who dragged myself, Paul and John Thomason, Barry McCarthy, Tony Owen and Chris Kehoe along to revel in the stunning birdlife of sub-Saharan Africa. Thanks to all for the laughs and birding. 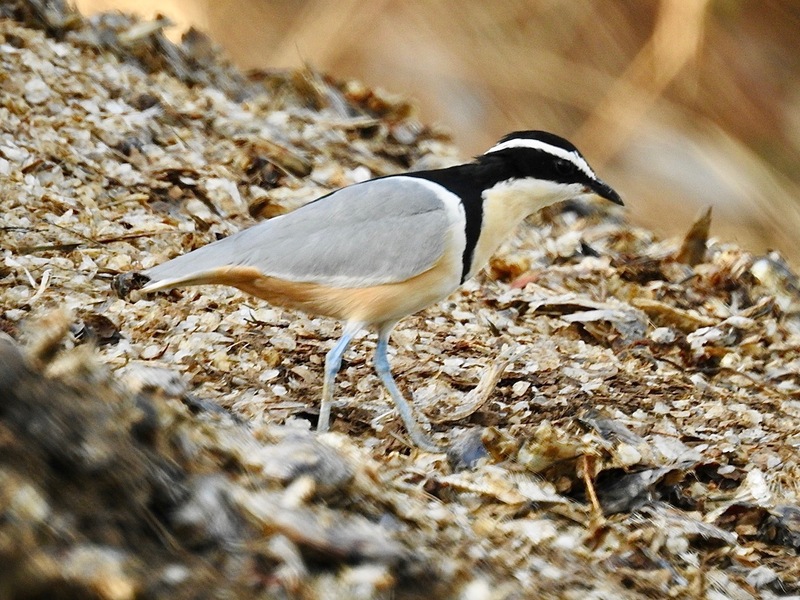 Upriver, down river, through rice paddies, on the beach and in the forest we managed just shy of 300 species, nearly 200 of which were lifers for me. 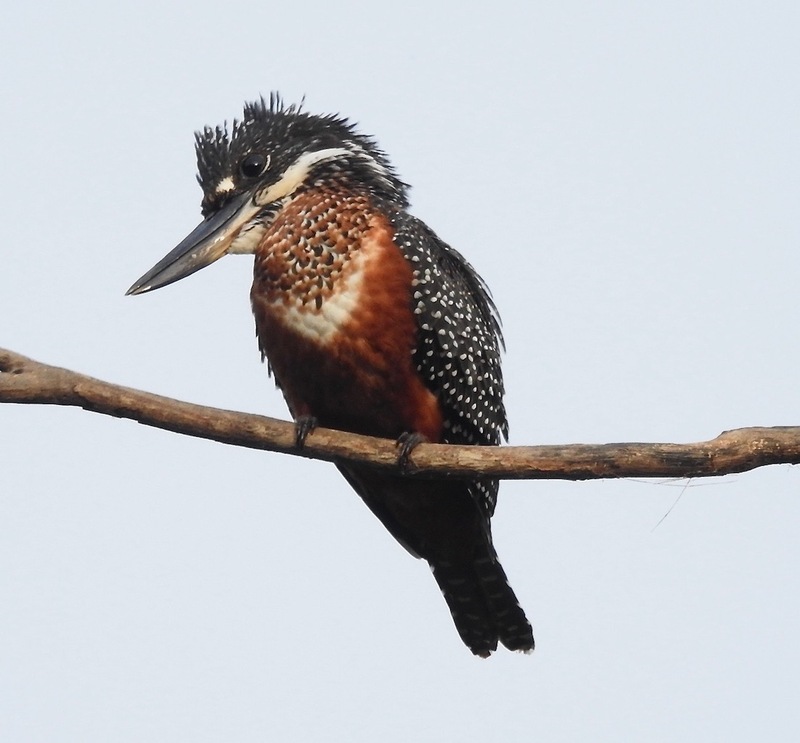 I’ve started blogging the whole thing and you can read it at Birdblog Gambia. Only one installment so far, but more to come over the next week or so. Been away for a week or so (more on that later), so it’s time for the usual appeal to readers – what’s about? Please let me know via the comments thingy – many thanks. “Thousands of people across Merseyside are expected to watch and count their garden birds for the upcoming RSPB Big Garden Birdwatch 2018. The world’s largest garden wildlife survey, now in its 39th year, takes place on 27, 28 and 29 January 2018. The public are asked to spend just one hour watching and recording the birds in their garden or local green space, then send their results to the RSPB. Close to half-a-million people joined in the world’s largest garden wildlife survey in 2017, including almost 6000 in Merseyside, counting more than eight million birds and providing valuable information about the wildlife using our gardens in winter. The house sparrow remained top of the Big Garden Birdwatch rankings in the county, with blackbird and starling rounding off the top three. To help prepare for Big Garden Birdwatch 2018, there are events on offer around Liverpool this January – from discovering how to attract more wildlife into your garden to gaining tips on how to identify the creatures that live on your doorstep. Meet the RSPB Liverpool Local Group in the Palm House at Sefton Park, Liverpool on Sunday 21 January. 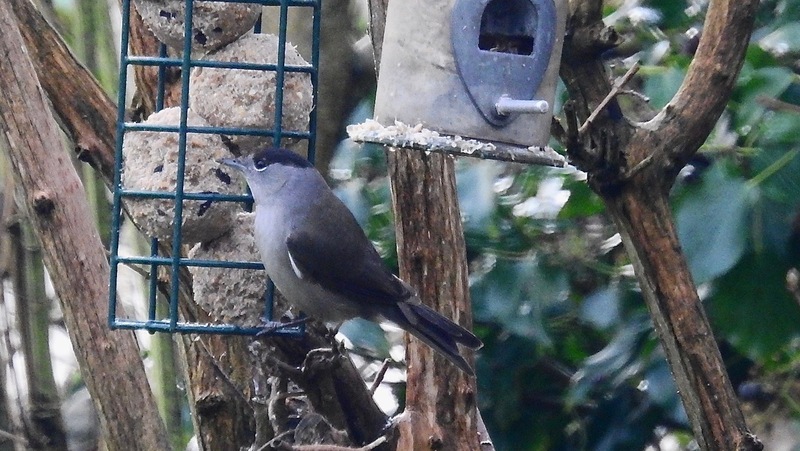 Volunteers will be on hand from 12-4pm with information about taking part in the Big Garden Birdwatch, assisting with bird identification and advising on how to attract garden wildlife. The RSPB will be at Otterspool Park in Liverpool on Sunday 28 January to provide information on Big Garden Birdwatch as well as advice on helping garden wildlife and identifying birds. Drop-in from 10am-3pm. 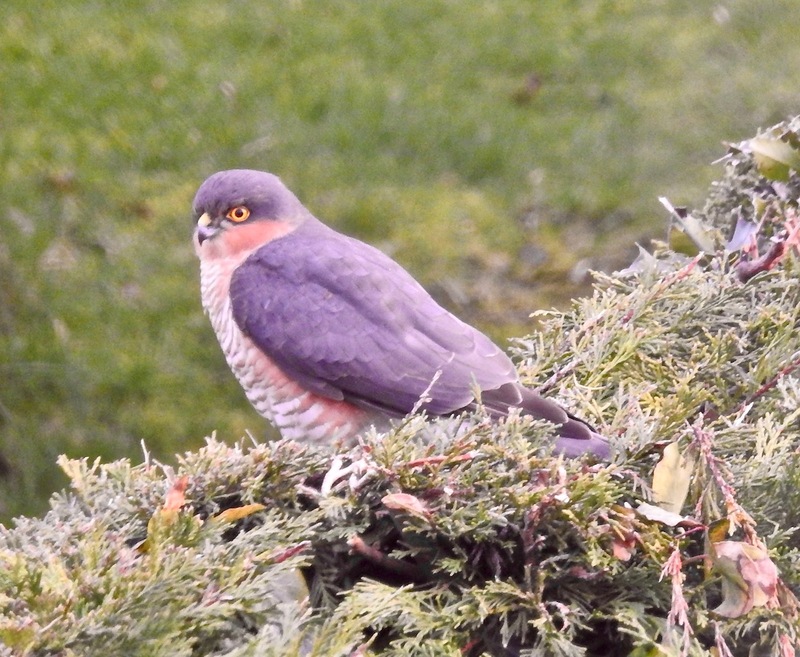 Daniel Hayhow, RSPB Conservation Scientist said: “The birds we see in our garden are often the first experience we have with nature – whether it’s a flock of starlings at the feeder, a robin perched on the fence or some house sparrows splashing in the bird bath. But it may come as a surprise to know that some of our most-loved species are in desperate need of our help as their numbers have dropped dramatically. Species such as starlings and greenfinches have seen their numbers visiting gardens decline by 79 and 59 per cent retrospectively since the first Birdwatch in 1979. As well as counting birds, the RSPB is once again asking participants to log some of the other wildlife they have seen throughout the year. This year, people are being asked to look out for badger, fox, grey squirrel, red squirrel, muntjac deer, roe deer, frog and toad. To take part in the Big Garden Birdwatch 2018, participants should watch the birds in the garden or local park for one hour at some point over the three days. Only the birds that land in the garden or local park should be counted, not those flying over. 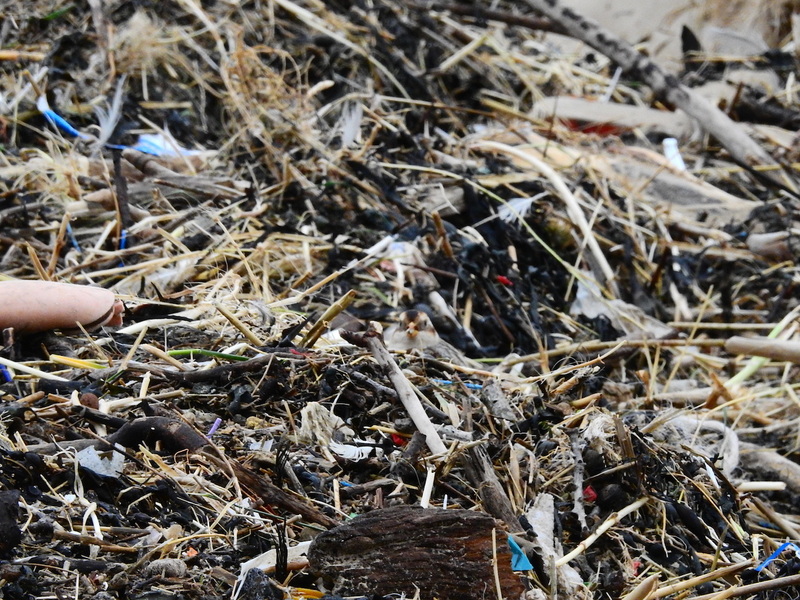 The highest number of each type of bird seen at any one time then needs to be sent to the RSPB. 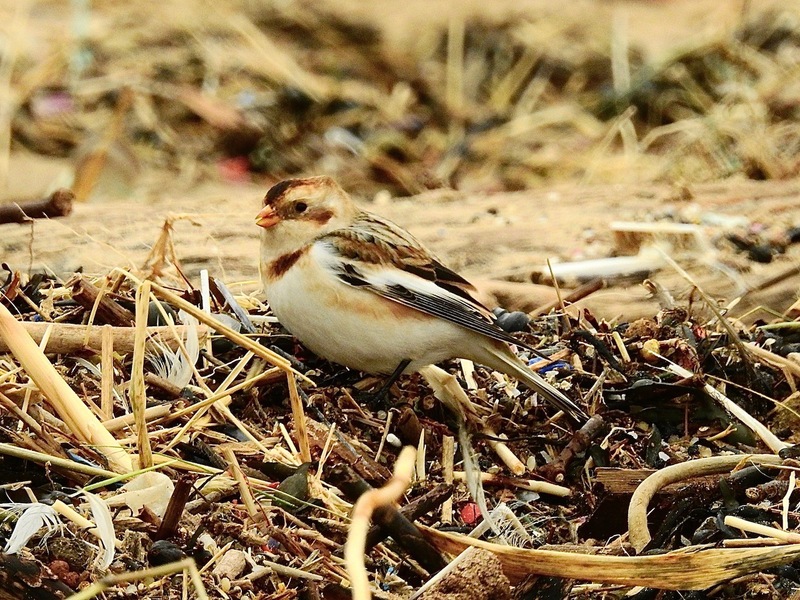 The wintering male Snow Bunting was in his element down at Crosby beach today as rangers carried on clearing the tonnes of debris dumped by Storm Eleanor – she didn’t half leave a mess! 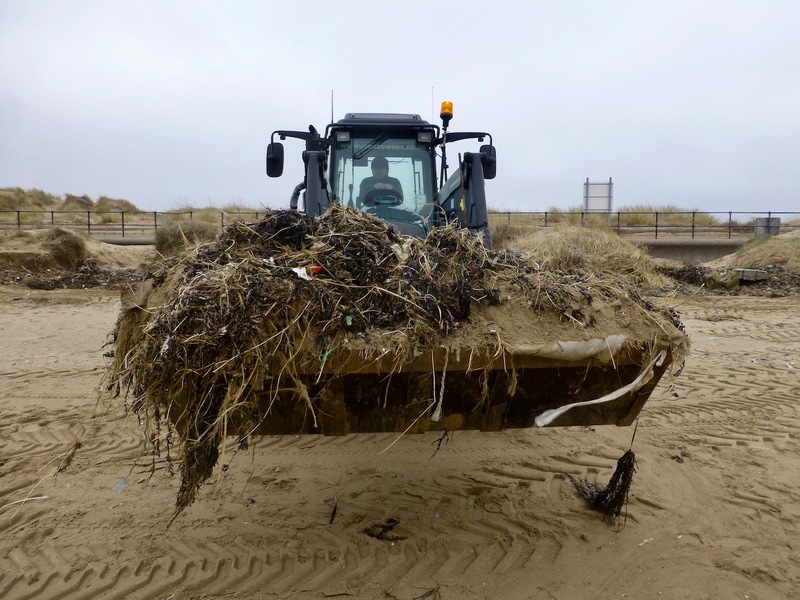 Luckily for the Snow Bunt, this means large piles of tidal rubbish are being moved by the team with tractors, so revealing loads of seeds for it to scoff, and it happily scurried about often just a few feet from the tractor as the clean-up continued. 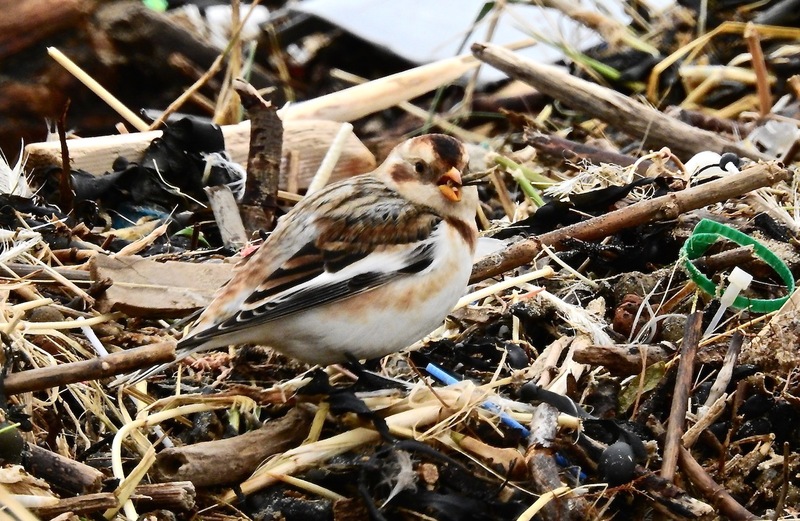 Once it got into a good pile of debris, the Snow Bunting could be quite hard to pick out, blending in perfectly with the seaweed, timber and depressing sea of plastics, but as ever, if you sat still the bird came very close. It reminded me of one of those poor souls eking a living from the mega-tips of Kenya or Sierra Leone, except the bunting is probably considerably happier. 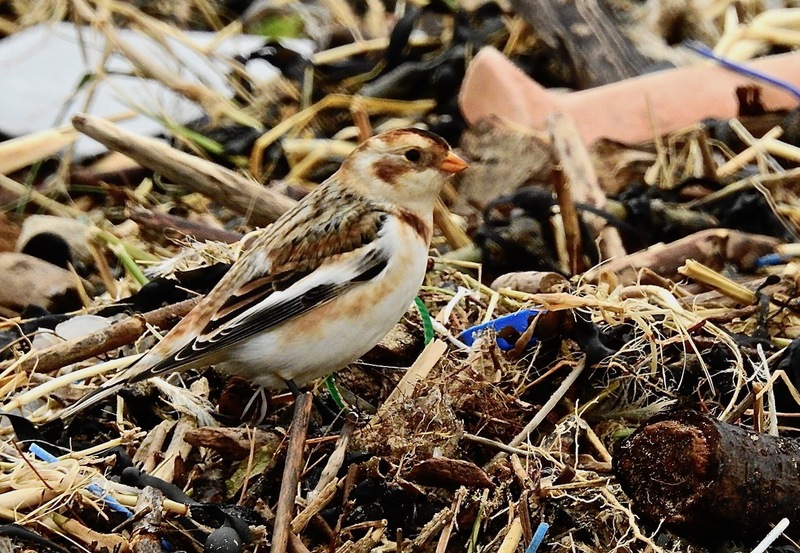 The bunting was with the Skylark flock for most of the time I was there as usual, with several of the 24 larks bearing colour rings from Ian Wolfenden’s monitoring project. I shudda spent more time getting the colour ring data, but the light was awful this morning, making it hard to discern the ring colours, and anyway, who can resist a showy Snow Bunt? 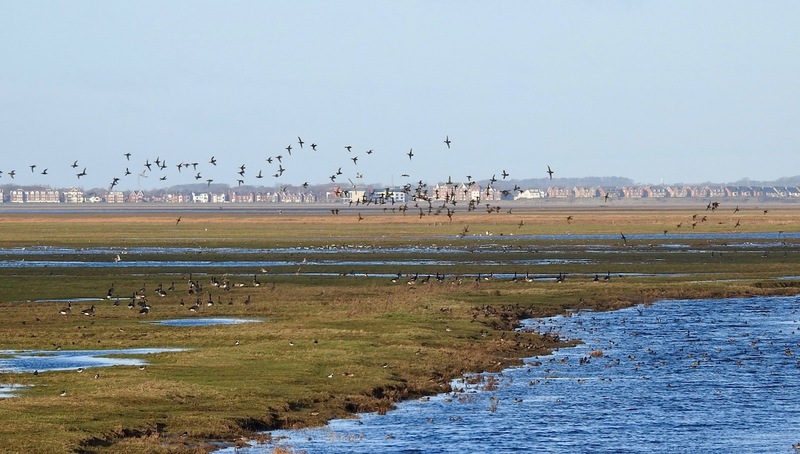 A few degrees of frost and the high tide cycle falling away, meant bird numbers were inevitably down at Marshside today, but in gin-clear blue sky conditions, the old place was still impressive – and rammed with birds. 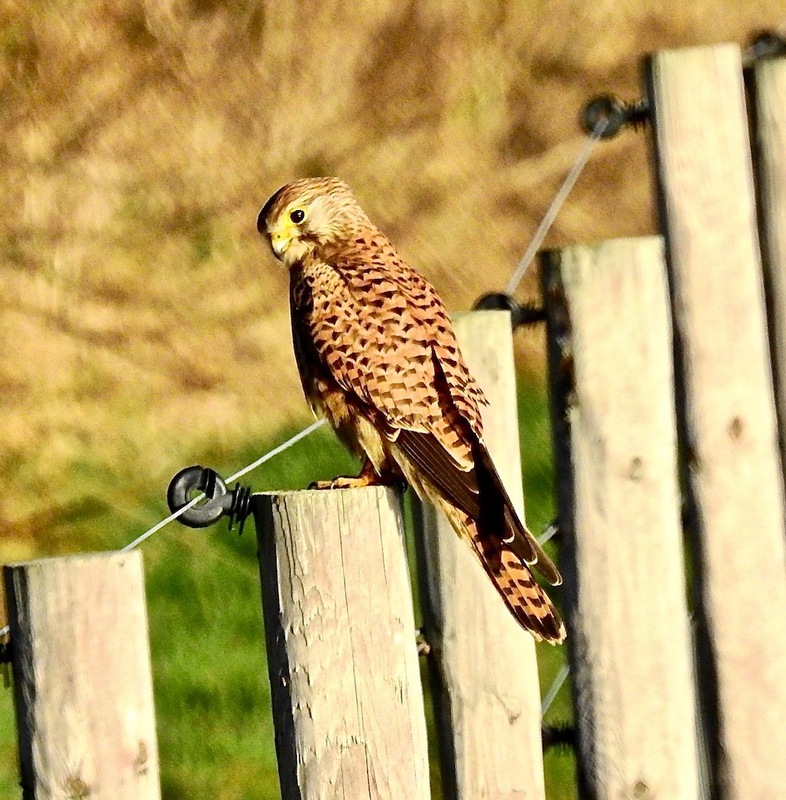 Merlin, several Marsh Harriers, Kestrels, Sprawk and two Common Buzzards took advantage. The latter appeared to be “tailgating” opportunist GBBs way out on the outer marsh, in the same way that Merlins track Hen Harriers, but what do I know? 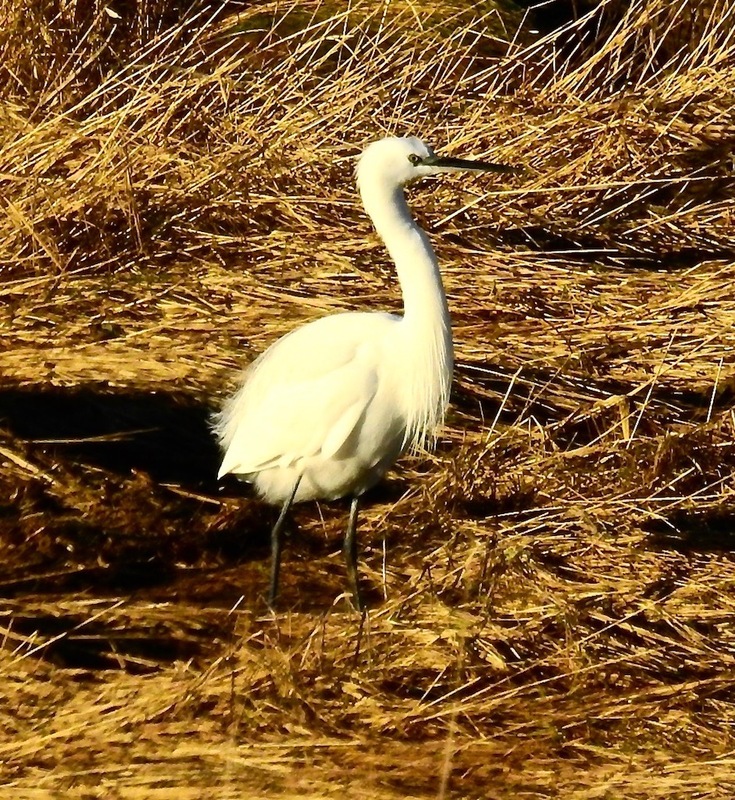 The Little Egrets looked a tad non-plussed by the freeze-up, but a Great White was still striding about at interstellar range as Bazzo and I ‘scoped the outer marsh, and for all the never-ending annoyance of traffic-drone, the spectacle of at least 2,000 Golden Plover and at least 300 Dunlin swirling about amongst the Blackwits, geeses and ducks justified the carbon monoxide flavoured Sandplant-Crossens and back stroll. Crossens Outer had 11 dozing Whoopers with more out on the Ribble as the tide ebbed and mudflats emerged, and Stonechats were still hopping from decaying fencepost to fencepost as the frost melted away and the cars got slower, more intrusive and frequent. 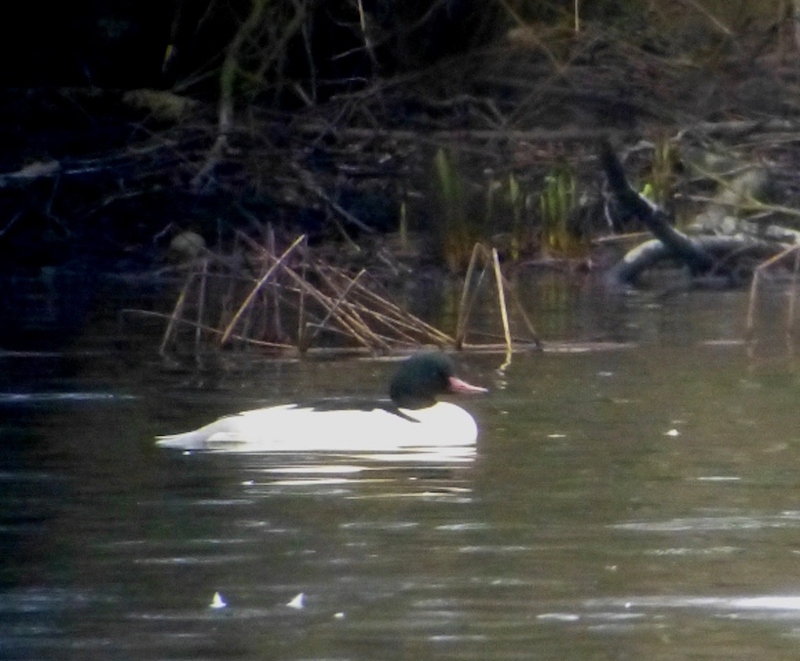 No need for any dietary revisionism when you’re as svelte as a drake Goosander – just a shame I only got to it as the light was fading at Sands Lake this afternoon. 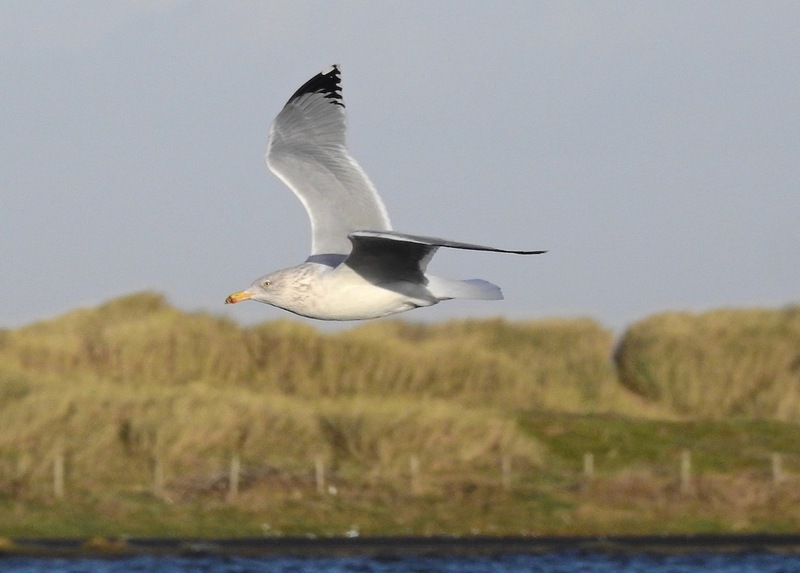 I know you can easily catch up with them at Mere Sands in winter, but they are scarce birds in the dunes and on the coast – the days when small flocks used to fish deeply flooded dune slacks in wet winters are a distant memory now. Slow out of the blocks for 2018, it was fun watching this bird at Ainsdale, blasted in by Storm Eleanor presumably as it sailed low in the water like a frigate amongst the dumpier Pochard, Gadwall, Shoveler and Mallards here. 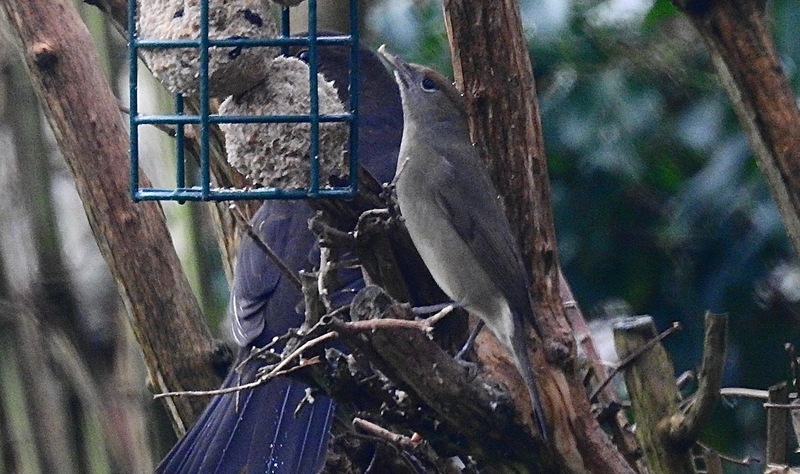 The Blackcaps that are hanging about Dempsey Towers may have more of a weight issue if they continue to scoff fatballs at their current rate. 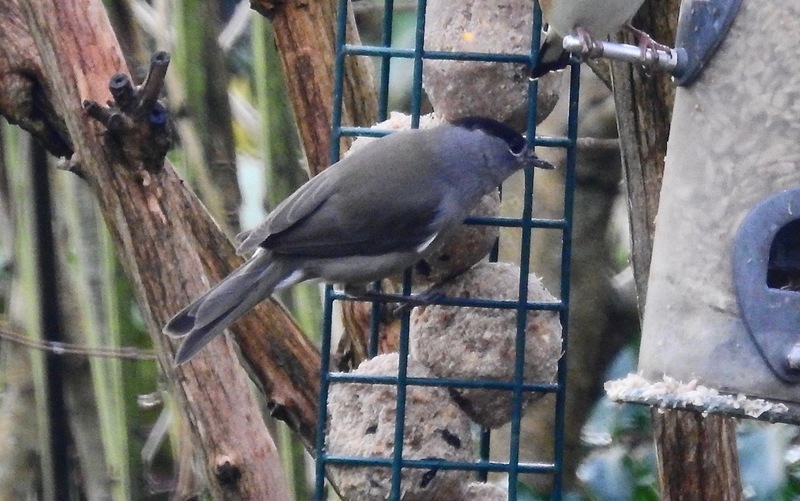 Two, possibly three, birds are ripping into the feeders continually at the moment – I really must try to take some pictures when the sun is out and the window is open, rather than these grainy things, but there’s a month or two of fat-scoffing to sort that out yet.